There is nothing on Oscar night that causes the crowd at the Dolby Theatre to leap to their expensively shod feet quicker than when one of their own is finally rewarded with a trophy after years of waiting, especially if they are a well-liked A-list talent and a major box-office draw. Recall the rousing reception when Sandra Bullock at long last made it to the podium after winning for her feisty Southern lady who stands up for her adopted football star son in 2009’s “The Blind Side”—her first-ever nomination. The rom-com queen had to show her more serious side to get there, but sometimes changing up your image can do wonders to make the film industry appreciate you anew. That same year, Jeff Bridges—whose first of six nominations was for 1971’s “The Last Picture Show”—finally took the prize on his fifth try as a boozy old country singer trying to make a fresh start in “Crazy Heart.” It might not have been his career-peak performance, but it was worthy enough to allow his statuette to serve as a sort of lifetime achievement honor for his incredible body of work. The Dude abides. And who knows? Perhaps Samuel L. Jackson in “The Hateful Eight” will get another gift from Quentin Tarantino that rivals his hitman Jules in 1994’s “Pulp Fiction,” the source of his lone Oscar nod. There are fewer actresses this year that qualify as being too long denied, although “Grandma’s” Lily Tomlin has been waiting four decades since her film debut in “Nashville” to have another legit chance at the gold. Meanwhile, it’s a crime that Jennifer Jason Leigh, who has a supporting role in “The Hateful Eight,” has never been nominated at all. But the most intriguing clash of the Oscar-less titans will likely be between two of filmdom’s most popular male stars who each have come away empty-handed several times in the past on Hollywood’s big night: Johnny Depp and Leonardo DiCaprio. And they both have engaged in an ongoing collaboration with two of America’s most distinctive filmmakers. With their shared admiration of the macabre and twisted humor, Depp and Tim Burton’s soon-to-be nine features together represent one the most successful actor-director pairings ever, starting with 1990’s “Edward Scissorhands” and continuing with next year’s “Alice in Wonderland” sequel. Meanwhile, Martin Scorsese helped to rescue DiCaprio from his post-“Titanic” heartthrob limbo beginning with 2002’s “Gangs of New York,” and they have a sixth project in the works, “Devil in the White City,” about America’s first serial killer. That is either an act of coyness, a ploy to get out of doing endless campaigning or the most perversely genius way to convince the voters to actually give you the award. But, nonetheless, it is still an interesting exercise to see how Depp and DiCaprio stack up side by side—and who might have the edge come Oscar time. The breadth of previous nominated roles: Depp has only three lead nominations to DiCaprio’s three leads and a supporting nod, but you can’t ask for more variety than a buccaneer (Capt. Jack Sparrow in “Pirates of the Caribbean: The Curse of the Black Pearl,” 2003), a famous writer (“Peter Pan” creator J.M. Barrie in “Finding Neverland,” 2004) and a Stephen Sondheim musical madman (“Sweeney Todd: The Demon Barber of Fleet Street," 2007). 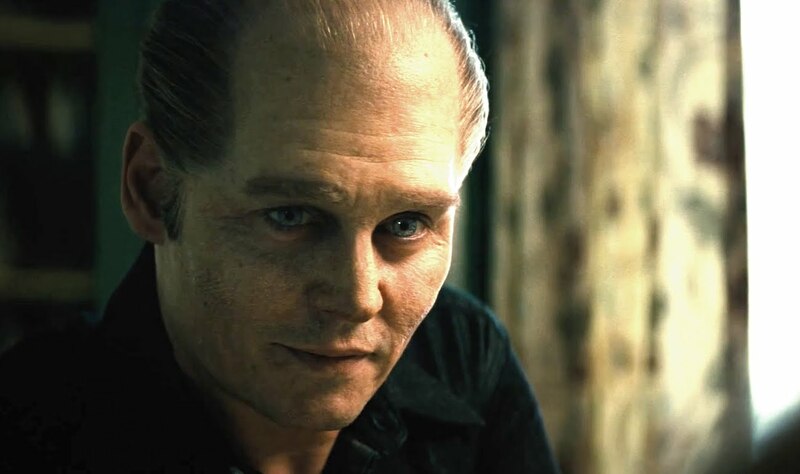 The Oscar-bait-worthiness of his “Black Mass” performance: In addition to donning ice-blue contacts and thinning his hair to transform into a murderous monster, Depp will benefit from pulling off a deadly serious role that is worlds apart from his lightweight characters in such recent disappointments as “Mortdecai,” “The Lone Ranger” and “Dark Shadows." Also, four out the five lead actor winners since 2010 have played real-life characters. His age: At 52, the perpetually youthful Depp is starting to show his age—and that might work to his advantage. The wait: It has been 12 years since his first nomination. Mitigating factor: Only one lead actor has ever won an Academy Award by playing a mobster—Marlon Brando as Don Corleone in 1971’s “The Godfather.“ A few others have gotten nominations—Al Pacino in 1974’s “The Godfather II,” James Cagney in 1938’s “Angels With Dirty Faces”—but organized crime doesn’t usually pay off in Oscar gold. How many actors failed to win by their fourth attempt? Besides DiCaprio, Warren Beatty, Ed Harris, Charles Boyer and Claude Rains came away empty handed after four times at bat. Just OK odds for Depp, especially considering the caliber of the talent that was overlooked. Did he ever produce a Best Picture nominee? Yes. Although not officially a nominee himself, Depp was one of the producers on Scorsese’s “Hugo” from 2011. The breadth of previous nominated roles: DiCaprio has shown a phenomenal range, starting at age 19 with his supporting nod for playing Depp’s mentally-challenged brother in 1993’s “What’s Eating Gilbert Grape.” His first lead nomination was for his portrait of studio mogul and aeronautic pioneer Howard Hughes in 2004’s “The Aviator” followed by his cocky African mercenary turned smuggler in 2006’s “Blood Diamond.” Meanwhile, in 2013, the actor got a rare chance to display his comic chops in the pitch-black “The Wolf of Wall Street” as swindling stockbroker and buck-wild party boy Jordan Belfort. 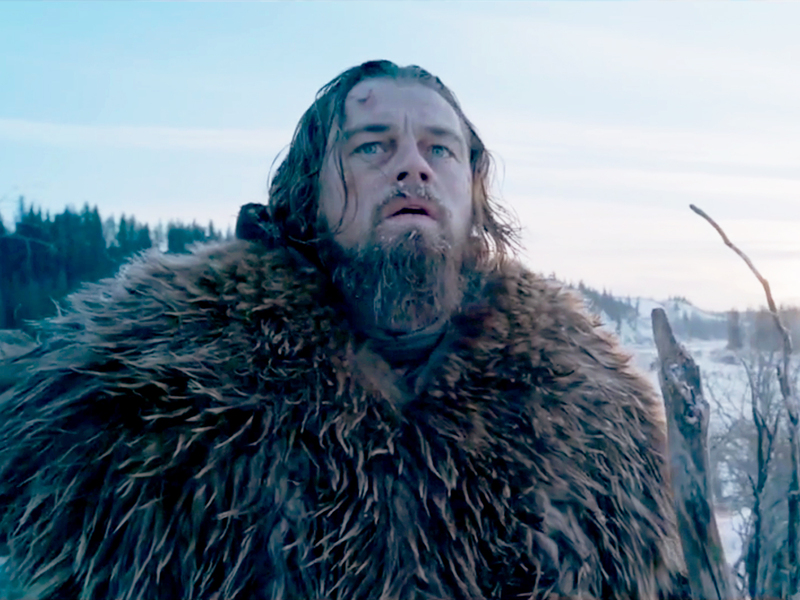 The Oscar-bait-worthiness of his “The Revenant” performance: We can only judge by the trailer at this point and the takeaway is that DiCaprio is full-on committed to burrowing into every muddy blood-and-guts agony suffered by his frontiersman, who is left for dead in a hole after being mauled by a bear. That he seeks vengeance for his young son’s wrongful demise also lends this tough customer some much-needed heart. Is the movie a Best Picture contender? It’s too early to say with any certainty, but all signs so far point to yes. The first trailer drew seven million views in less than a day and a half after its release, which speaks to its star’s impact in the role. Also a positive sign: Lately, academy voters have recently embraced more action films as Best Picture contenders if they are based on fact, including 2012’s “Argo,” which won, and “Zero Dark Thirty," 2013’s “Captain Phillips," and 2014’s “American Sniper.” The story and character of Hugh Glass are inspired by real-life events, also a plus at a time when film industry is mad for biopics. That the movie is helmed and co-written by Alejandro Gonzalez Iñárritu, the Oscar-winning director of 2014’s Best Picture winner “Birdman” also places DiCaprio in a secure position to triumph. His age: He is 40. If DiCaprio were a female, he would be considered nearly over the hill in the eyes of misogynistic Hollywood. But as a male, he is in the prime of his career and will most likely have many more chances to win. The wait: It’s been 22 years since his first nomination—a decade more than Depp. Oscar oversight: His itinerant artist Jack Dawson might have proclaimed himself “king of the world” in “Titanic.” But DiCaprio was left high and dry without a lead actor nomination when the names on the 1997 Academy Awards ballot were announced. While the film tied 1950’s “All About Eve” for the most nominations ever with 14, voters failed to recognize the main contributor to “Titanic’s” enormous box office success. Without repeat viewings by the actor’s young female fan base, the film would never have become the highest-grossing movie of all time—an achievement since topped by “Avatar.” Perhaps this is the year he will be finally paid back for one of the most grievous snubs in Oscar history. He also missed out on what many thought would be likely nominations for "The Departed" and "Django Unchained." How many actors have failed to win by their fifth attempt? Only two: Albert Finney and Arthur Kennedy. Not bad odds at all. The upshot? DiCaprio appears to be in a better place than Depp right now and signs point to the fact that he is more overdue. However, that could all change when “The Revenant”—a much-delayed production due to weather and other factors—actually screens.